The Women’s Business Circle is designed to bring women business leaders together in a collaborative work space. A Collaborative Circle means a space for people to come together and brainstorm ideas — creating something new or different from what they have already created. Collaboration — is the bringing together of ideas that results in something new. If you are a woman, then you know that when a group of women come together — and start working on a problem — magic happens. There is brilliance that creates something incredible. Imagine the potential of an INTENTIONAL collaboration space? What could happen? Now the idea starts to emerge and the group wants to see it happen…. Now we start seeing this natural accountability happen. People are asking — How’s it going? What did you do to make it happen? People are invested in your success!! Now, that is powerful. But there is more to accountability then just your collaborative solutions. You have goals and dreams and visions that you have been working on. Maybe you’ve made progress and maybe you haven’t. Now, you have a plan that lays it all out AND gives you a built in accountability system. Imagine putting together a strategic plan that excites you, that is focused and doable, that creates the vision. THAT, is exactly what happens in the Women’s Business Circle with our Best Year Yet™ Planning system. But it is more that the plan, because we gather together monthly to review the plans, the challenges, the successes and that makes each person more accountable then most have been for years. Okay, think about it, you decide to join the Women’s Business Circle, we work together to get your plan just right and you tell everyone in the group about it. 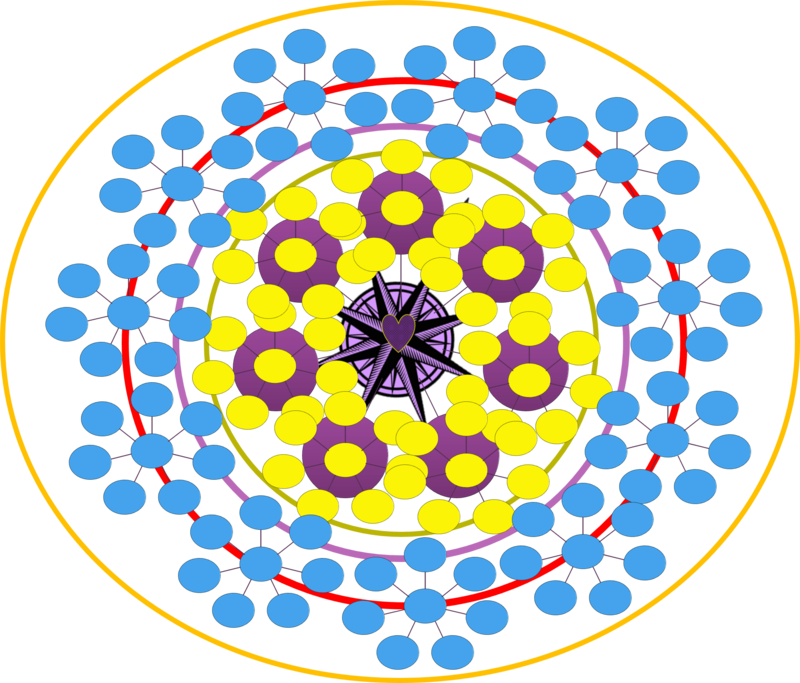 Now, next month you come to the monthly circle and say, “oh, I didn’t do a thing on the plan.” Could you? I couldn’t. I would be up til 4 AM getting everything done, even the night before the meeting if I hadn’t done anything. Why? Because of my pride. I said I would. I told other people. Accountability in a group can be powerful. Magic? Really? Well, I think when women gather together in a collaborative space — that alone produces magic. Everyone leaves excited, inspired, motivated. That is magic. Everyone starts accomplishing more than they expected and more than they had imagined. 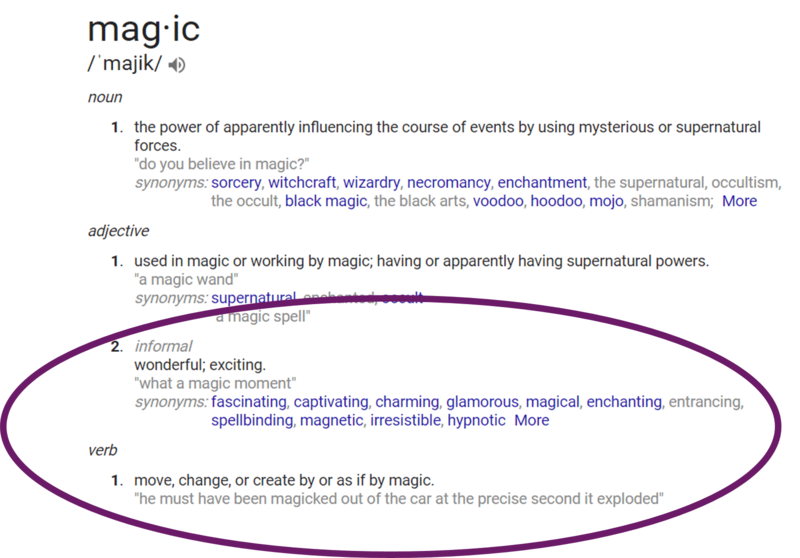 Magic by definition is exciting and wonderful, it can create a move or change or a creation. Can women together create magic? Can they help each other create businesses that thrive and expand and prosper? I think with the combination that the Women’s Business Circle has – training resources, collaboration space, strategic planning, accountability meetings — the ingredients for real magic are there. They just need to be used to see the expansion.